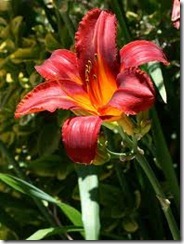 When daylilies weaken and die over the course of a season, it may be due to lack of water, sunlight or friable soil. 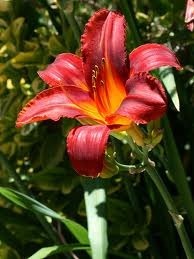 Sudden death, however, requires rapid diagnosis and treatment to save other daylilies in the garden. Two diseases threaten daylily lives: crown rot and daylily rust. Crown rot starts in the crown and turns leaves yellow until the crown dissolves and the plant collapses. Daylily rust, diagnosed in the U.S. only since 2000, grows on leaves in reddish-brown patches, eventually destroying them. Both diseases cause death if not caught quickly. Pre-emergent granular herbicide products are recommended by experts like those at the University of Tennessee Plant Sciences because grassy daylilies are sensitive to spray herbicides like glyphosate and glufosinate, whose drift can fatally weaken or kill a plant within 7 to 14 days. Daylilies require cooling periods to bloom; dormant varieties must spend several months in dormancy. Evergreen varieties can adapt to the longer cold period of northern zones but dormant plants in southern zones may die for lack of sufficient cold weather to trigger hibernation. Best practice is to purchase plants that have spent their first years within two growing zones of their new home garden.